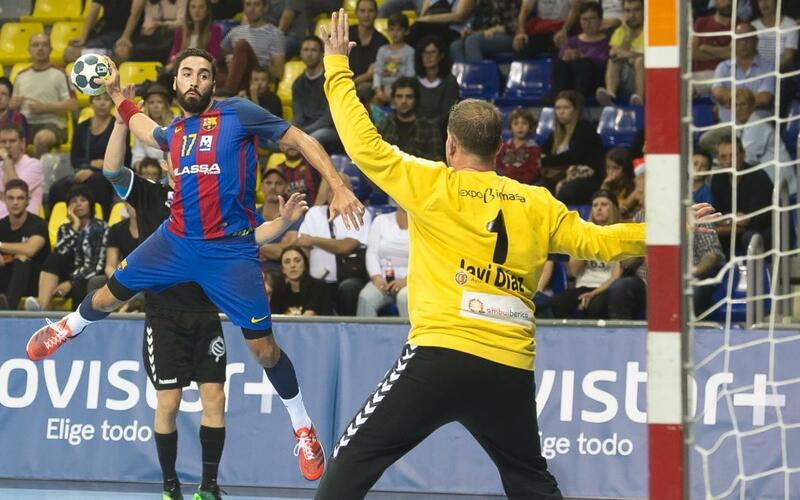 FC Barcelona Lassa rolled to an easy win at Cangas on Saturday, a well-played triumph that keeps them in first place. Early on, Cangas were briefly able to withstand the Barça onslaught, after which the result became clearer by the minute. Dika Mem and Jesper Brian Noddesbo led the way with 10 and five goals, respectively. Barça led throughout the second half and at one point led by 19 goals, highly demonstrative of the team’s state of form. The win is Barça's 12th of the season in 12 tries. Their next game comes against Villa de Aranda on 18 October at 8.30pm CET. Check out the team's full schedule, here.